Top spaces in malls which were earlier seized by the luxury and the accessory segment are being replaced by food brands in the country. Food business in India has grown from being retail’s poor cousin to the segment with dominating edge. Today, where people are more inclined on buying essentials online, restaurants and food business is ruling the retail scenario in India. And, with fashion, electronics and grocery taking a backseat with eCommerce disruption, food and beverages has become the new love of the mall giants increasing its stake in the retail scene. From mall developers and owners running and operating a food court at their mall to opening a food-only mall is heating the retail real estate scenario in India, all thanks to fast evolving eCommerce. Not only this, top spaces in malls which were earlier seized by the luxury and the accessory segment are being replaced by food brands in the country. “With growing competition from online retailing, F&B and entertainment are the categories which many shopping malls will be focussing on. Shopping mall developers are particularly focussing on international food chains so as to increase the attractiveness of their retail spaces. F&B and recreation has now emerged as an important component of the trade and tenant mix for any retail development,” shared Pankaj Renjhen, Managing Director – Retail Services, JLL India. And, with this the rising trend of speciality malls could be seen in the country. Some of the speciality retail real estate developments that are working successfully in the country belong primarily to the F&B and entertainment category includes DLF Cyberhub in Gurgaon and Sangam Courtyard and Epicura in Delhi, which are dedicated exclusively to F&B brands. 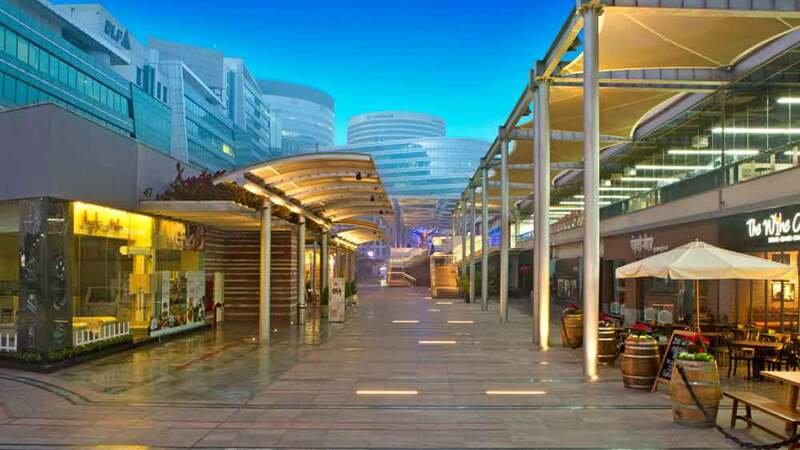 DLF Cyberhub not only offers gastronomies of various varieties, but is also acting as a cultural centre organising various art festivals and programmes. “Food is the binding thread in all connects of business, family and friends. Hence food joints become the ultimate socialising platform for the new age, well travelled consumer,” Anant Verma, Business Head, DLF Cyberhub. Going forward, people are not only experimental and aware about the trend, but they are also willing to try new cuisines and experience new culture. Select CityWalk mall is bridging this gap by trying to incorporate various cuisines at their mall. “Eating out business has developed very quickly. It has become a family affair from a mere occasion. Eating out once a week or twice a week is picking up,” shared Yogeshwar Sharma of Select CityWalk mall who is now allocating over 18 per cent of the space to F&B brands which was earlier 12-15 per cent. Hence, we can say that in years to come we will see some more work happening in the field of food and beverages. Mall developers and retailers are together on a ride to make India top food business market. "We are selling habit and not a product"..